Since 1986, Keep America Beautiful has presented the Vision for America Award annually to a corporation whose commitment to corporate social responsibility and sustainability has significantly enhanced civic, environmental and social stewardship. Among its many accomplishments leading to its selection as the 2018 Vision for America Award honoree, O-I is the first food and beverage packaging company to achieve a gold rating in material health on the Cradle to Cradle Product Scorecard. Nearly 90 percent of O-I's glass operations were certified across product categories. The certification is based on five categories: material health, material reutilization, water stewardship, renewable energy use, and social fairness. O-I is also one of the founding members of Keep America Beautiful which was established in 1953. "I am honored to accept this important award on behalf of our more than 26,000 employees. We are proud to produce natural, sustainable and innovative packaging solutions for the world's leading food and beverages," said Andres Lopez, CEO, O-I. "Our future rests in the inherently sustainable attributes of our glass products and our unparalleled ability to respond to the changing needs of the brands we serve. As the world's biggest purchaser of recycled glass, we strive every day to improve our impact on the planet and its people." 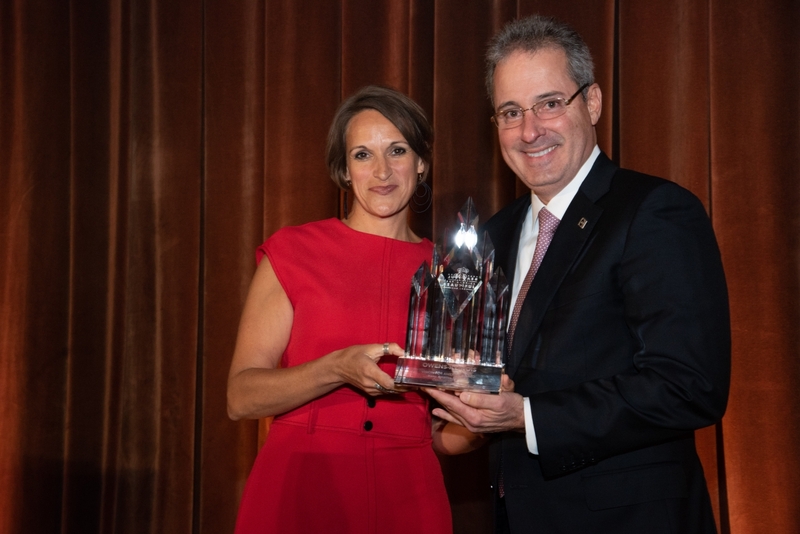 Past recipients of the Vision for America Award, which has been awarded annually since 1986, include Caterpillar, Dell, Honeywell, Nestlé Waters North America, PepsiCo, UPS, Xerox, and most recently, Delta Air Lines. Earlier in the day, Keep America Beautiful and O-I co-sponsored a Sustainability Summit with a diverse mix of stakeholders in the sustainability and sustainable packaging space. The invite-only gathering covered urgent issues such as single stream recycling, consumer behaviors, and policy prescriptions. O-I also used the occasion to release its 2018 Corporate Social Responsibility Update. The 24-page report provides information on the company’s progress to date and goals forward across a number of CSR and sustainability metrics. The Update also showcases successful O-I initiatives from around the world that are increasing recycling, decreasing carbon emissions, investing in employees and supporting communities. The Keep America Beautiful Vision for America Award is presented annually before an audience of more than 300 distinguished guests, including senior public officials and business leaders. In addition to paying tribute to the honoree, the dinner serves as the largest fundraising event of the year for Keep America Beautiful. Learn more and view a full list of past recipients at KAB.org.